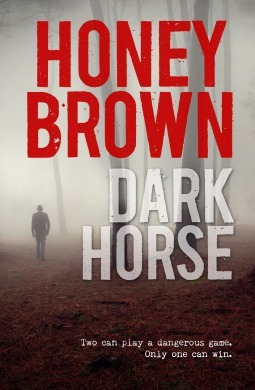 I picked up Dark Horse by Australian Author Honey Brown from the local library. I’ve been meaning to read more of her work after finishing and loving Red Queen last year. Information modified from Goodreads: Dark Horse begins on. Christmas morning. Sarah Barnard saddles Tansy, her black mare, collects a gun, and heads for the bush, escaping the reality of her broken marriage and her bankrupted trail-riding business. The lock on the gate to the trails has been cut. Sarah pushes on, seeking solace in the mountains. When a flash flood traps her on Devil Mountain without communication to the outside world, she heads to higher ground, taking shelter in a worker’s caravan at Hangman’s Hut. Her solitude is interrupted by the arrival of an injured Heath. Heath is charming, capable, handsome. But his story doesn’t add up. Why is he deep in the wilderness without any gear? Where is his vehicle? What’s driving his resistance towards rescue? The closer they become the more her suspicions grow. To get off Devil Mountain alive, Sarah must engage in this secretive stranger’s dangerous game of intimacy. Tansy had baulked at the foot of the loading ramp, swung up her head in protest, and the broad bone of her nose had connected with Sarah’s jaw, chin and mouth. It could have been worse, if the impact had been a centimetre higher. I find this book really hard to review because I don’t want to give away spoilers. The setting of the Australian Bush during a flood at Christmas time is vivid enough for you to smell the mud. This country of ours is under-appreciated for how rough, rugged, and beautiful it really is and shines as a backdrop. Honey Brown has a fantastic way of drawing you deep into a character’s life without revealing the darkest of secrets or the truth until you least expect it, and they are never what you think they will be. I loved Sarah and her connection to Tansy, felt terribly sorry for her, but admired her determination to seek out a new life. I was drawn to the mysterious Heath who appeared secretive but also kind. He clearly wanted to help Sarah, but was torn by whatever other secrets he has hidden. The secrets are unravelled slowly and the biggest one has you questioning everything that came before it. My only issue with this book was the very end of it. Again, hard to explain why without giving spoilers away, but I was a little torn over Sarah’s reactions to everything.